It's already available where I live - pending an on-site test obviously but I'm fairly sure this should not be a problem. Compared to Orange which insists that their fibre optics will be available in November only in my area, this is a big deal. All the packages come with unlimited data (fair usage policies of course apply). Not that I'm a heavy Internet user or anything, but it's still a factor. 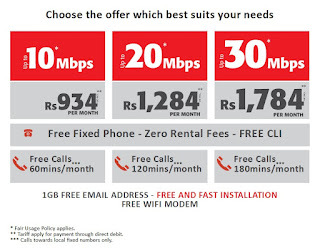 There are 3 different packages: 10Mbps, 20Mbps and 30Mbps, all of them with unlimited data. Of course, the key phrase here is "up to 10Mbps" and not just "10Mbps", but it's the same thing with Orange Mauritius anyway. 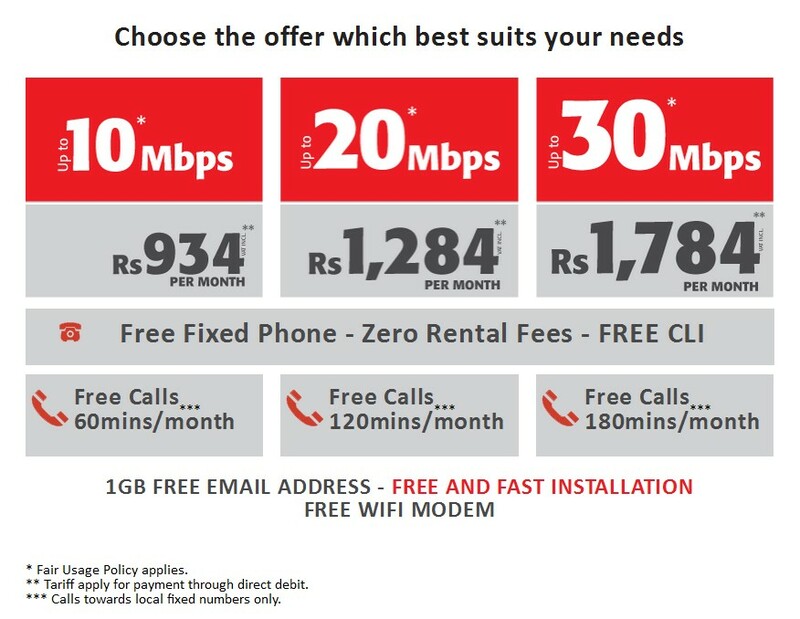 Each package includes a free fixed phone line with a certain amount of free calls to landlines per month. For the 10Mbps package which I'm signing for, I'm getting 60mins/month. Not that I actually make calls using my landline, but it could be handy. An email address with 1GB storage is provided. Of course, nobody is actually going to use that but yay, free stuff! I am currently waiting for the Emtel team to do the on-site survey and proceed the installation (which apparently takes 3-4 hours). I will post a review of the package after fully testing it.